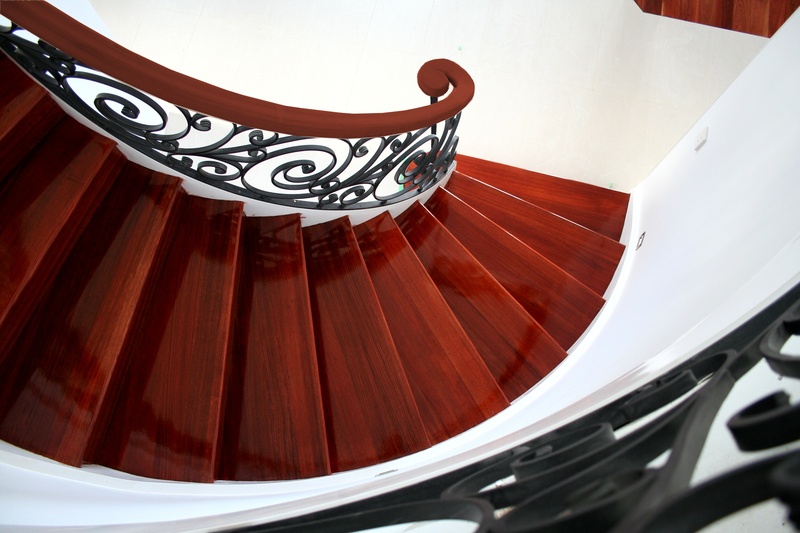 Spiral staircases have been used throughout history in areas where space is at a premium and it is no different today. With a trend towards smaller blocks resulting in smaller houses, a spiral stair design is an excellent option as it provides a stunning visual impact while requiring only minimal space. Even in spaces where room is plentiful, the ribbon-like curve a spiral stair has a timeless elegance, while the custom made double spiral stairs (stair above stair) which Signature Stairs created for a home in Melbourne is nothing short of sculpture with its geometric shapes, curves and perspectives. 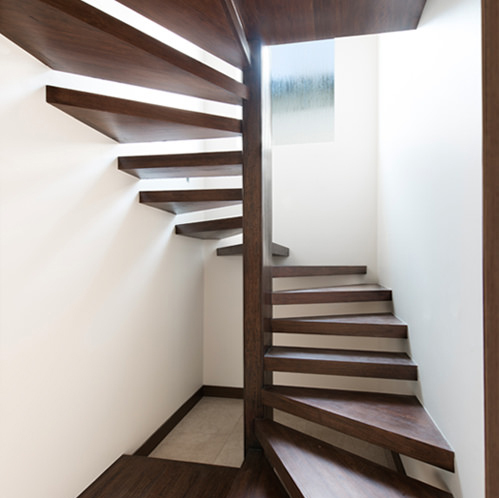 With a spiral staircase design, the treads normally fit around a central pole or post, which is often a feature in itself. The outer edge of the step usually holds the outer parts of the banister. 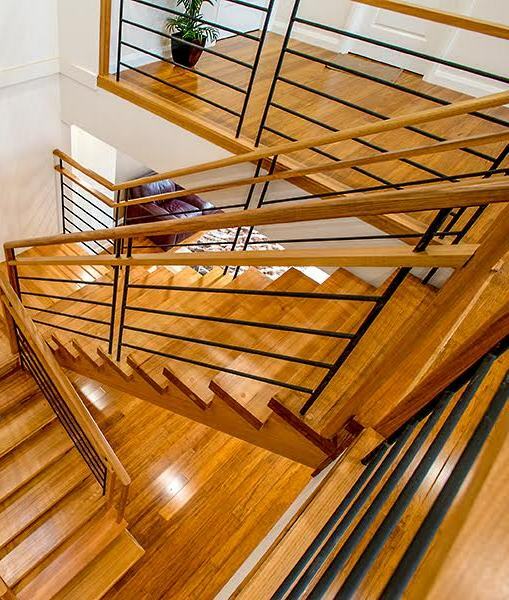 From this basic design, the choice of material can be combined to create anything from a classic look with wrought iron and timber to an ultra-modern composition of glass and steel.A spiral staircase can either be free-standing or in particularly confined spaces, treads may span the width of the flight to touch the wall. 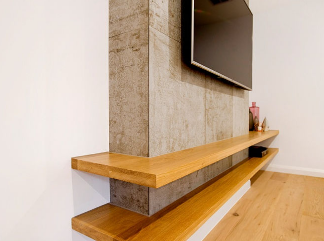 By eliminating any visible wall fixings, the steps appear to float around the central caber.By utilising a design with open treads and risers, a spiral stair also allows light to penetrate the stairwell creating an open and inviting space. 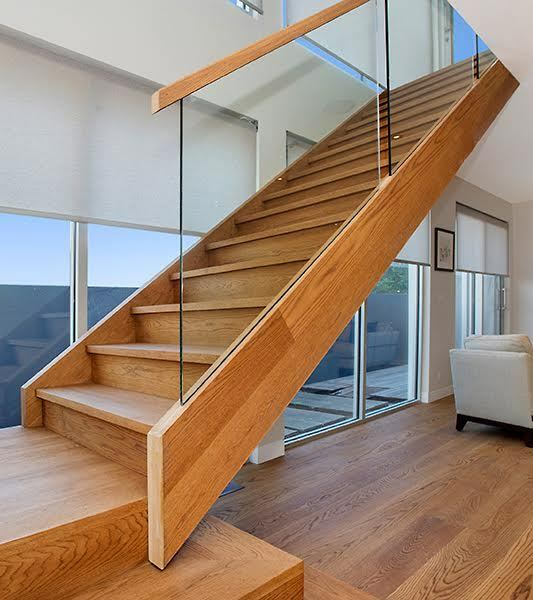 As a local staircase manufacturer, we can ensure the stair design is the best fit your home.